Neck Pain can be a debilitating experience. Under the direction of Dr. Thomas and the team at Hamilton Physical Therapy, you can get the relief you need from neck pain. Call or book an appointment online today to get started! Your neck - or, in medical lingo, the cervical spine - is made up of the seven smallest vertebrae in the spine. And incredibly, these tiny bones are subject to the same stresses as the rest of your backbone. Unfortunately, over time, the wear and tear of moving and supporting the body can take a toll. The result? A sore neck. Approximately 80 percent of people experience neck pain during their lifetime. We’re not talking about the standard muscle ache that happens occasionally. We’re talking about a dull, achy, chronic pain that may also trigger headaches. Should these excessive aches become long-lasting, a medical professional will need to get involved to address the root source of your pain. The ideal treatment for neck pain can be designed by a qualified physical therapist. At Hamilton Physical Therapy, our PT staff can help you with your neck problem. Call 410-444-2770 or book an appointment online to begin sitting and moving pain-free! Neck pain may also be caused by an injury stemming from an incident such as a traffic accident, sports injury, or fall. How Should Patients Deal with Neck Pain? Staying active and improving the fitness and function of the neck muscles are two of the most effective forms of therapy for neck pain. Maintaining your core strength - which depends on the strength of the muscles of your abdomen, back, and buttocks - is also important in preventing neck pain. If your core muscles aren't strong, your neck and shoulder muscles will be overworked in an effort to support your upper body. Finally, patients should work hard to correct any problems with their posture, which can put stress on the neck and exacerbate pain. Some basic adjustments you can make to meet this goal include keeping a computer at eye level, and not holding the neck in a bent position for more than 10 minutes at a time. Patients should also talk to their doctor and obtain a list of more specific changes they can make based on an in-depth analysis of their posture. If neck pain persists more than two or three days, even with rest, it’s important that you consult with a physical therapist for an exam. This will give a professional a chance to evaluate you and see if additional care is needed. 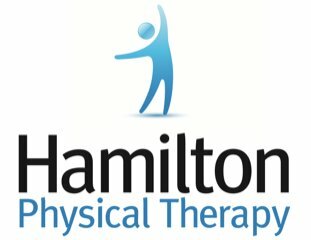 At Hamilton Physical Therapy, we will take a detailed history and perform a physical exam to diagnose the problem affecting you. Based on our findings, we can develop a personalized treatment and therapy plan targeting the source of your pain. We also often prescribe home exercises to strengthen weak muscles, and use hands-on treatments to loosen too-tight tissues! If you’re ready to tackle your neck pain, call us at 410-444-2770 or request an appointment online!